When you book an Official Sure Thing Schoolies package, already included in the package is the entry to 3 Awesome DJ Parties at the Official Sure Thing Schoolies Party Zone. This includes awesome DJs, Games, a Free Sausage Sizzle and heaps more. Sure Thing Schoolies gives you the Ultimate Schoolies experience for Victor Harbor Schoolies 2019. Q) What is Port Eliot Beach House YHA Like? 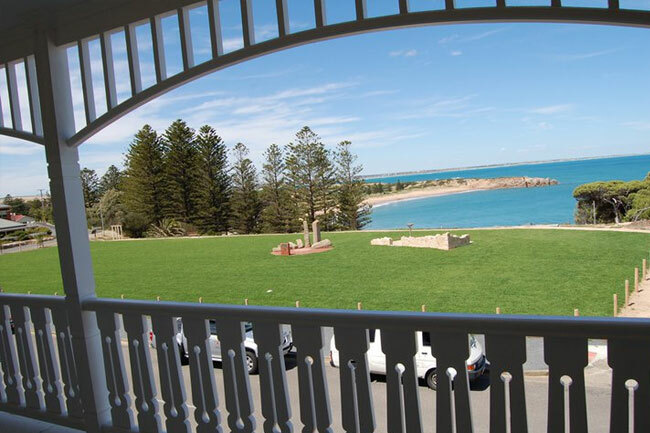 A) Port Eliot Beach House YHA is the place to be this Schoolies as it’s all renovated and 1st class accommodation (The Ultimate Party venue) for only $399.00 per person. It’s located a couple of minutes walk from Horseshoe Bay which has views that are to die for. Port Eliot Beach House YHA has spectacular onsite facilities like a table tennis room, chill out rooms and awesome outdoor facilities. There is an outdoor BBQ area, Free WiFi, and all the other things to make it feel like a home away from home. Schoolies of 2017 had a blast and created memories that will last a lifetime. Plus when you book with Sure Thing Schoolies you get exclusive entry to 3 Sure Thing Schoolies parties including DJs, sausage sizzle, games, other freebies, Sure Thing Schoolies Caps, Sure Thing Schoolies Lanyards and heaps more. Q) Do the rooms have shared bathrooms or private bathrooms?